Is every member of the U.S. Congress corrupt? It looks like it to me, but you be the judge. On behalf of Nobodies all across America, Bill Windsor of Lawless America informed every member of the U.S. House and U.S. Senate about the massive corruption. This was done through a series of four faxed and hand-delivered letters. I previously faxed two letters to every member of the 112th Congress. Four letters were sent to every member of the 113th Congress -- Senators and Representatives. December 30 Letter by fax. January 31 Letter by fax. February 18 letter by fax. February 5 Letter hand-delivered. Congress has been presented with massive evidence, so it has been time for them to act or be recognized as dishonest and/or corrupt public officials. Not one single, solitary member of Congress has responded. Shocking, but expected. When I took my case to the United States Supreme Court asking the justices to tell the federal judges in Georgia that they had to abide by the Constitution, and they refused, I knew we had a bigger problem than I thought. Then when tens of thousands of people contacted me to tell me their stories, I knew the problem was all across America. As I traveled to every state (Alaska still to go) filming victims, I realized that the judicial and government corruption was everywhere, and the same techniques are used to devastate honest people and destroy their lives whether its Grays Harbor County Washington or Carver County Minnesota. How in the world could citizens provide massive evidence of judicial corruption and government corruption to our senior elected officials in Washington and have them ignore it? It is beyond comprehension. If there is an honest government official in Washington, DC, I ask her or him to speak up. Otherwise, I want to bring criminal charges against every one of these dishonest and corrupt people. The time has come for you and your legislative colleagues to publicly prove your honesty and your commitment to the citizens of the United States. On February 5 and 6, 2013, hundreds of victims and advocates for integrity in the courts had appointments with their elected representatives in the House and Senate. They hand-delivered a Lawless America DVD containing testimonies for Congress from victims of court corruption from all 50 state courts as well as federal courts. Proposed legislation to reform the legal system and the judiciary was included in the packets with the DVDs. Unfortunately, security personnel were instructed by someone to block our efforts to distribute the evidence of felonies occurring at the hands of legal system officers and staff. If we were blocked from delivering to you, we have mailed a packet to you. In the meantime, you may go to the website of www.LawlessAmerica.com to view the information. The top right column of the Home Page says “Lawless America Testimony to Congress.” Click on “Congressional DVD Page.” Then follow the links. 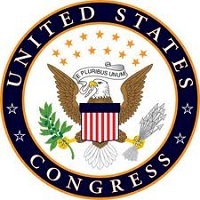 The evidence of systemic corruption in the United States legal systems, hand delivered to Congress, is online with the names of all House and Senate representatives who received a copy. Please carefully review our Proposed Legislation. On January 29, we sent you an invitation to one of several events that we scheduled for February 5-6, 2013. You and your staff were invited. Not one single person showed up to meet with the hundreds of citizens who were there to answer your questions about the corruption that is destroying America. Unacceptable. You were advised that our judiciary is hopelessly corrupt, and you didn’t choose to get involved. Unless we hear from you to the contrary, we must assume that you will participate in aiding and abetting the corruption. To prove that you are an Honest Government Official, please send a letter to the House and Senate Judiciary Committees urging them to immediately schedule public hearings into judicial branch corruption. If you have any question of the need, call me. Please send me a copy of your letter so I may add you to a list of Honest Government Officials. If I don’t receive a letter, you will go on the Dishonest Government Officials list. It is OUR country, and we want it back. Please do what’s right for your constituents and for the country. It is time to expose and stop the dishonesty and corruption in government and the judiciary for the good of the people. All we want are our fundamental rights, government officials who always tell the truth, protection of the rights spelled out in the Constitution and Bill of Rights, and accountability for the dishonest. We want our proposed legislation to be enacted so that America will be saved and our legal system reformed. 1. We are asking you and every member of Congress to request public hearings on judicial and government corruption, in writing. I ask you to send me a copy of your letter to prove that you did so. Those who ask for hearings will be placed on a list of Honest Government Officials. 2. We are asking you to do your duty and report to law enforcement the thousands of felonies of which you have been made aware in the videos that Lawless America has provided to you. 18 U.S.C. § 4 says: “Whoever, having knowledge of the actual commission of a felony cognizable by a court of the United States, conceals and does not as soon as possible make known the same to some judge or other person in civil or military authority under the United States, shall be fined under this title or imprisoned not more than three years, or both.” We have provided you with actual knowledge. If you fail to report these felonies, you will have committed thousands of violations of this criminal statute. Therefore, I am asking that you send me a copy of your communications where you report these felonies. 3. If public Congressional hearings are not scheduled to be held by March 1, we will proceed with our plans to file criminal charges against many elected officials and government employees who we can show have committed felonies. 4. On or about April 1, we will file criminal charges with grand juries all across America – state and county grand juries as well as federal grand juries. Constituents will be requesting a letter from you to the grand juries encouraging them to do what the law provides and allow the charges to be presented. Since citizens are almost always blocked by prosecuting attorneys and U.S. Attorneys, we don’t expect to get very far with this, but we will publicize it all. We will bring additional criminal charges against those who violate the law in blocking the evidence from being presented to the grand juries, and we will bring criminal charges against every member of Congress who fails to report the felonies that we have reported to you. 5. When the U.S. Attorneys block access to the federal grand juries, as they always do, we will be asking you to bring charges against them and remove them from office. 18 U.S.C. § 3332 reads: “It shall be the duty of each such grand jury impaneled within any judicial district to inquire into offenses against the criminal laws of the United States alleged to have been committed within that district. Such alleged offenses may be brought to the attention of the grand jury by the court or by any attorney appearing on behalf of the United States for the presentation of evidence. Any such attorney receiving information concerning such an alleged offense from any other person shall, if requested by such other person, inform the grand jury of such alleged offense, the identity of such other person, and such attorney’s action or recommendation.” This is also a Constitutional right. 6. Starting this summer, we will begin conducting sessions of citizen grand juries and courts in which we will put all the criminals on trial for their crimes, and when appropriate, treason. We will publicize this. Our Constitutional rights are a mirage. We have lost what our founding fathers established for us. We have lost our fundamental rights. 750 nobodies and their families and friends have set out to save America. No guns, no violence, just a Jeep, cameras, microphones, and 750 everyday people telling their stories. We have not yet written the ending of our movie. We hope it will end with this Congress saving America. We expect the movie will end with virtually every member of Congress being charged with wrongdoing.